About three weeks ago, my girlfriend and I were stranded in the city at 1am. We had just enjoyed a lovely night out in a Melbourne bar and it was time to call it a night. A cold chill pervaded the air. Revellers danced the street corners waving hands in the air to hail a taxi ride home. As most suburbanites know, there are few things less desirable than the dreaded search for a taxi in the late hours of a Saturday night. We waited more than half an hour before we downloaded the Uber app. Within minutes we had connected with a driver. Less than five minutes later, we sat comfortably in a warmly heated Holden sedan, finally on our journey home. The price was reasonable ($29.46 from the CBD to Doncaster), and the convenience a godsend. In fact, even paying was easier, as the app just direct debited from our account. Welcome to the 21st Century sharing economy, where the archaic inefficiencies of last-century services are undermined by fresh faced entrepreneurs that have adapted to an empowered citizenry. Digital technology has changed the game. Uber is just one of many innovations in a worthy parade of newcomers ripping down the walls of the old monopolies. Think AirBnB versus the established hotel industry, or music sharing apps like Spotify versus retail chains. For the established order, this is how the world ends. Not with a bang, but with a click or a swipe. It is capitalism at its finest. Innovation and entrepreneurship providing a service in response to consumer demand, offering competition and choice. The winners? Us, the consumers. Adam Smith and Milton Friedman would be applauding from the grave. Capitalism 101 has arrived at the taxi business, and it’s working. Predictably, the old order refuses to go down without a fight, as is their right. Yet regrettably, their biggest asset and ally in this war against competitors is government. 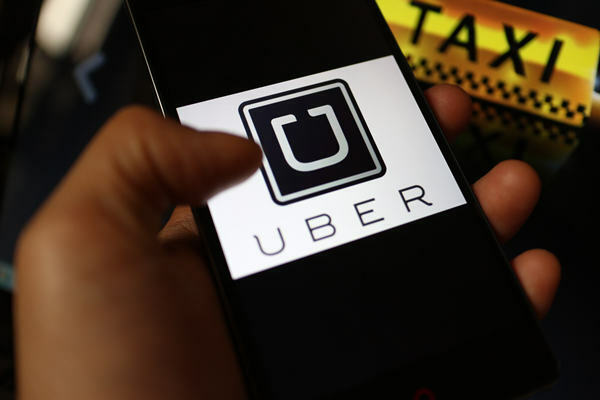 As the reality sets that the Taxi industry’s model needs reforming to adapt to consumer demand, lobbying for tighter regulations and restrictive licences for Uber has begun. Rather than seek new avenues for innovation, the taxi industry is advocating government regulation on Uber to choke competition and tighten its grip around consumers’ wallets. Like a dinosaur idly staring at a tidal wave, the industry refuses to move on. In fairness, the industry is crippled by government regulation imposed on it in the first place. The response should therefore be deregulation to foster competition rather than calls for more regulation. The regulatory framework imposed on many consumer driven industries is an outdated product of last century, incompatible in an economy where individuals are enfranchised by progress. If the Andrews’ Government caves in and maintains Uber’s current illegal status in Victoria, it will be one of the most short sighted public policy decisions in living memory. It will be a decision not made in the interests of the public, who have already made their opinion clear, but pandering to the interests of one industry. State governments have already collected more than $2 Million worth of fines to UberX drivers for providing ‘illegal’ taxi services. Detractors point to insurance and taxation issues to undermine the service, yet why can’t consumers be empowered to make the choice themselves, rather than governments stepping in for them? This whole episode represents the wider issue of what happens when government overexerts itself on the economy. Overregulation and expensive licensing means higher costs for consumers, and has the added impact of shielding the taxi industry from change. Uber drivers, many part-time workers benefiting from the mobile employment the company offers, will have unnecessary hoops to jump through in order to complete one of life’s most basic services: giving someone a lift home. The AirBnB experience has been similar. In the face of protests bemoaning the lack of regulatory control over the rent sharing service, where in some districts hotels were experiencing a 10 percent bite to their business, governments around the world have started exerting control, issuing fines and enforcing greater restrictions on peoples’ choice to share their homes. In San Francisco, landlords are now required to purchase expensive permits to make a room available, while in New York the service has almost been banned altogether. Once again, consumers suffer with less choice when government wields its axe. Adapting to the new sharing economy is one of the biggest challenges for any government. Business models like Uber and AirBnb are not novelty exceptions to the norm, they are windows to the new norm, where technology provides platforms that help private individuals use their own resources and exchange those resources for the public good. The only losers are those whose market power is threatened. Innovators and competitors should be celebrated in a spirit of progress and change. Capitalism in a free market economy ceases to be such if the response to savvy entrepreneurship is to cripple it with regulation by pandering to the establishment. The alternative is a government sponsored oligarchy, where the benefit of the market is enjoyed by the few.